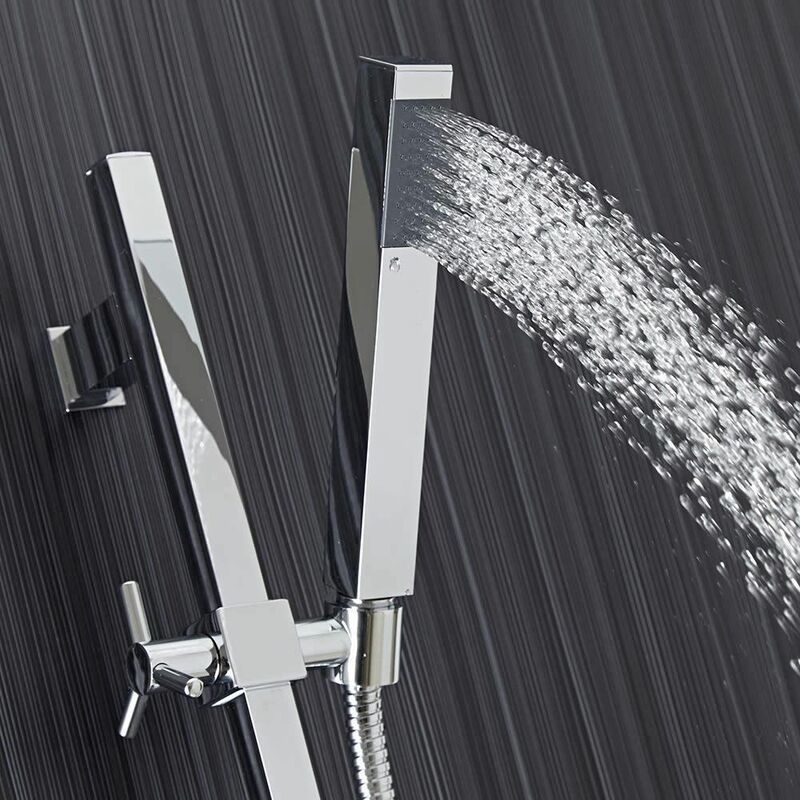 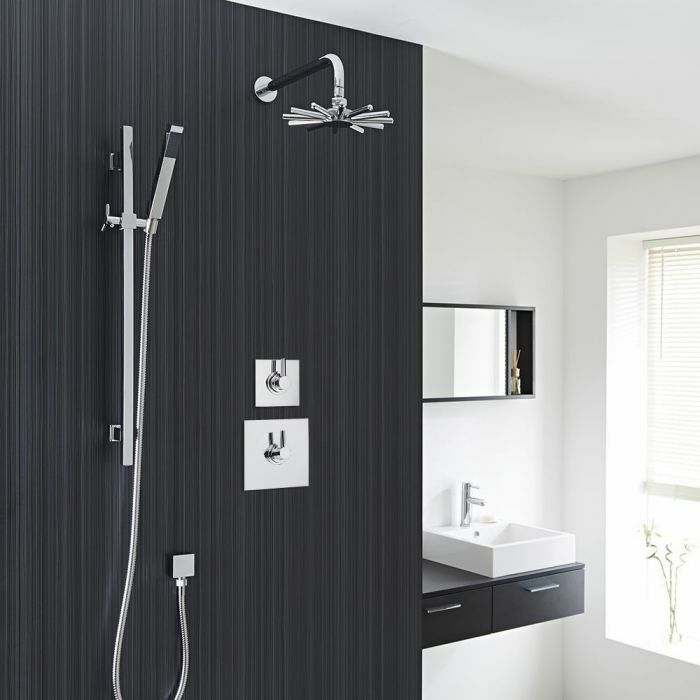 Enhance the appearance of any modern bathroom with this stunning 2-outlet shower system from Hudson Reed, which counts a striking square chrome face plate and minimalist controls as prominent features. 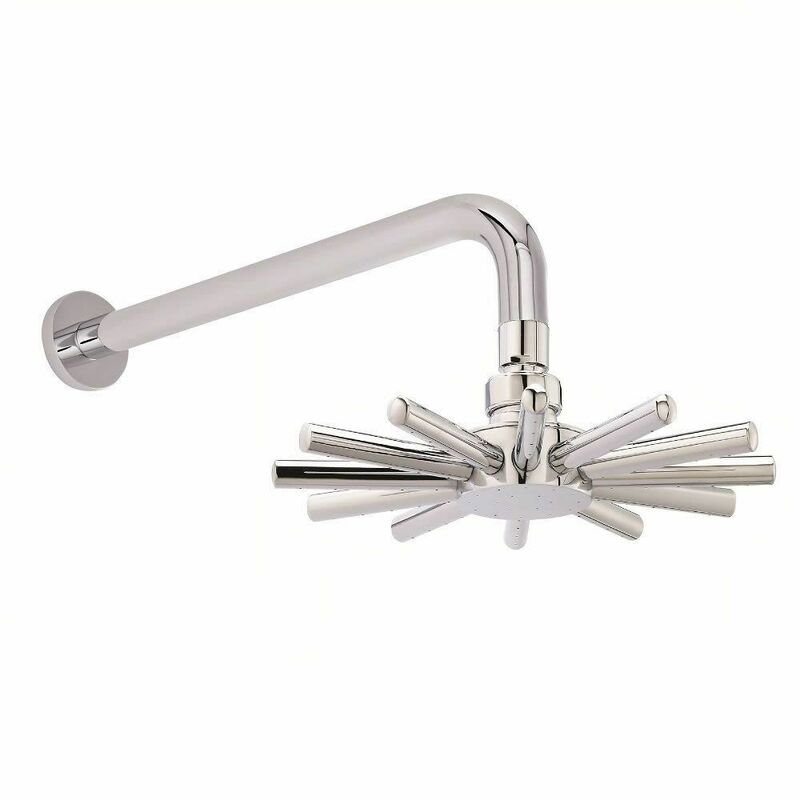 Offering fingertip control via attractive square handles, the included diverter valve is exclusively constructed from solid brass in Great Britain, and incorporates an anti-scald device. 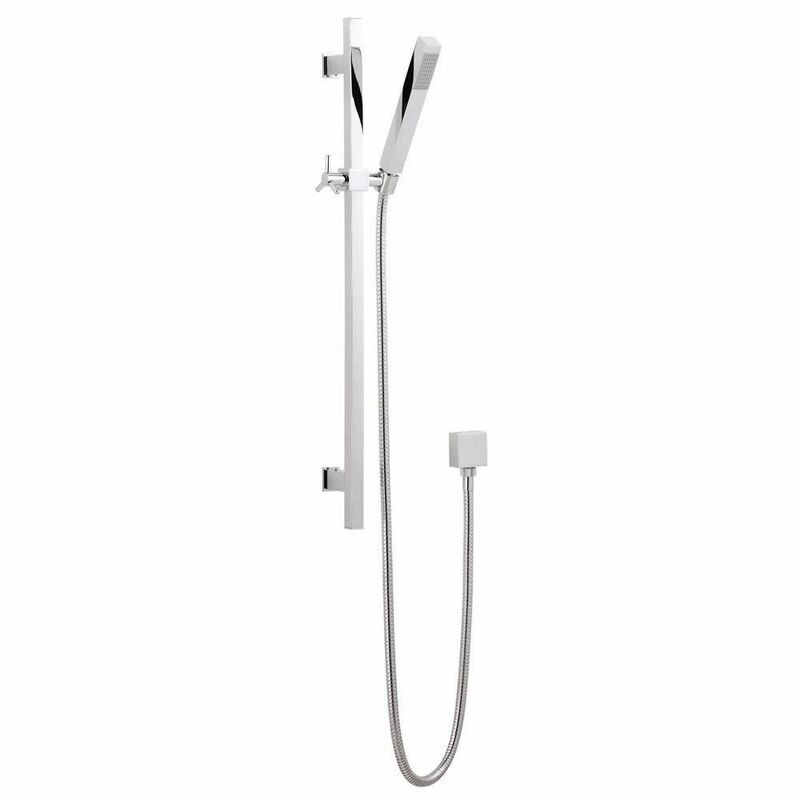 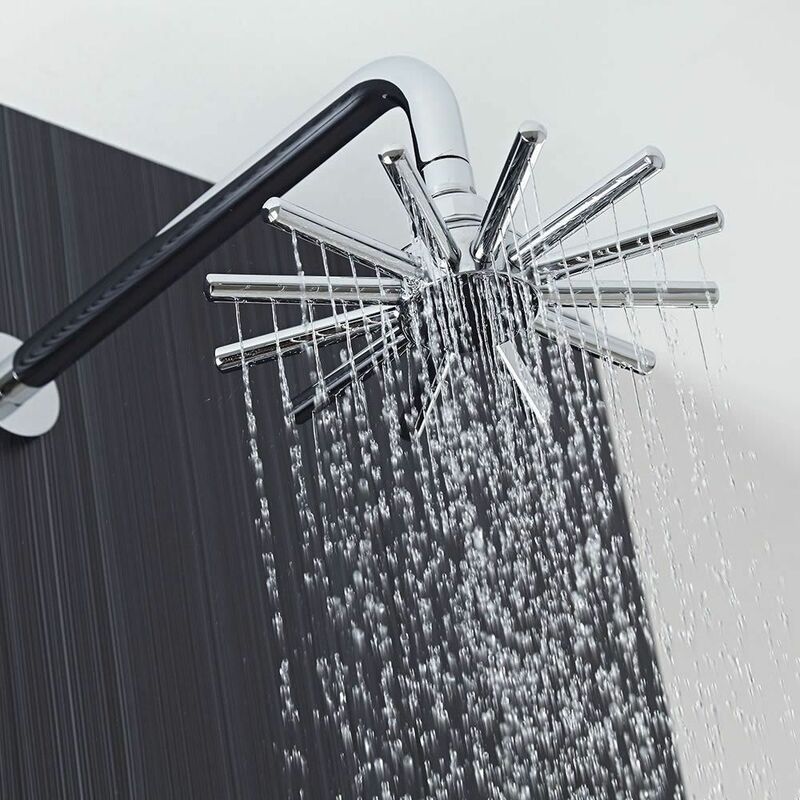 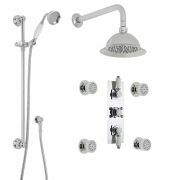 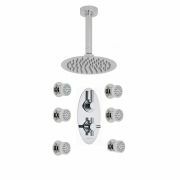 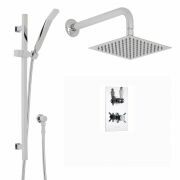 The valve supplies water to either the Cloudburst shower head or slide rail kit to deliver a refreshing showering experience. 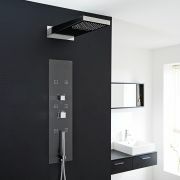 Projection from wall (rail): 2.8"